Linkpoint Properties sold a Miami River District building that could be ripe for redevelopment, as investors continue to target the area for new projects. Investment firm Inversiones Sion LL paid $7.9 million for the 11,577 square-foot building with a parking lot. The property is on 1.67 acres, and is located at 1400-1404 Northwest 17th Avenue in Miami. Built in 1975, the building is occupied by a JPMorgan Chase Bank branch. Linkpoint sold the property through its Linkpoint Miami River LLC. Inversiones’ principal, David Rodriguez, lives in Spain, according to Alfonso Jaramillo with Fortune International Realty, who represented the seller. Alexandra Escudero, also with Fortune International Realty, represented the buyer. Rodriguez plans to keep the property until Chase’s lease expires in June 2021, and then look at options, including leasing the building, redeveloping it as a retail or mixed-use project, or selling the land, Jaramillo said. It’s close to the mixed-use River Landing, which is currently under construction. 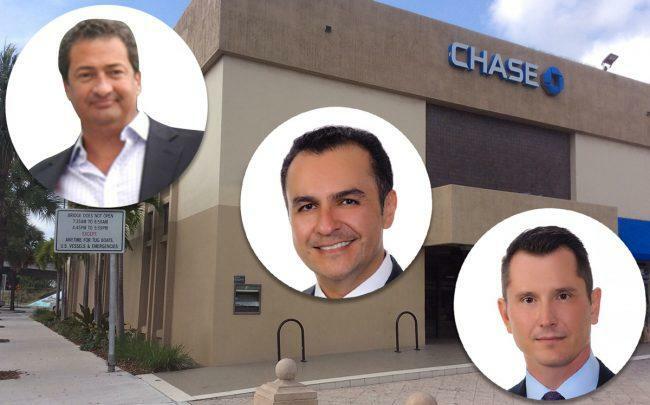 Linkpoint Properties, a Miami-based real estate investment and management firm, led by Alex Sanchez, Camilo Niño and Ricardo Uribe, purchased the property in July 2017 for $5.5 million. The firm, which is the real estate acquisition arm of joint venture partners Linkvest Capital LLC and Cornerpoint Partners LLC, launched an acquisition program in 2017. It is backed by nearly $100 million in funds, mostly from Latin American family offices. Recent acquisitions include a McDonald’s and Tire Kingdom in Hialeah and a United Rentals property in Pompano Beach. The Miami River District is booming, with new restaurants, apartments, condominiums and mixed-use projects in the works. Among them, developers Andy Hellinger, a principal at Urban X Group and Coralee Penabad are building the $425 million River Landing, which will have apartments, retail and office space. Mast Capital is planning Miami River Walk, a 6.3-acre apartment complex with 688 units. KAR Properties plans to build the condominium project One River Point, and the Chetrit Group, JDS Development Group and Ari Pearl have proposed a $1 billion mixed-use project.